By filling out the signup form you acknowledge that you have read the terms and conditions below for the Woolvey Affiliate Program, you understand them and you agree with them. By filling out the signup form you declare immediate acceptance of the terms of this agreement. Your participation in the program is solely for this purpose: to legally advertise our website to receive a commission on products purchased by your referred visitors. Eligible payments - all affiliate monies due for orders generated as a result of affiliate links/website will be held for 30 days after the shipping date of an order to coincide with our customer satisfaction guarantee. This allows us to compensate for any returns, exchanges or canceled orders. Payments will be calculated and issued to affiliates at the end of any given month according to the terms and conditions of this document. Affiliate Payments - payment to affiliates will not be rendered for amounts less than $10.00. Example: if you have $5.00 in your affiliate account at the end of the month, your account will carry over into the next months cycle with a balance of $5.00. When your account total reaches $10.00 or more you will be sent payment provided all orders associated meet the condiditons set forth in (a) above. Any perceived abuse of the Woolvey Affiliate Program. E.g. Used solely to obtain additional personal purchasing discount. Any other reason, at the sole discretion of Woolvey LLC. You may use graphic and text links both on your Web Site and in emails. You may only use the graphics and text provided to you by us. It is important in maintaining the Woolvey brand and in ensuring you are accurately credited for your referrals that you do not use any self-created links. When a web surfer clicks through your affiliate link, a cookie is set in their browser that contains your affiliate identification. Also, their IP address is tracked in the database along with your affiliate id. When this person decides to buy a product, the script will look for this cookie and/or try to match their IP address to identify the affiliate who will be awarded the commission. Visitors sent through your affiliate link may make a purchase later in time and the commission will still be awarded if the cookie is present in their browser and/or the are using the same IP address as the one logged in the database. Our visitor tracking system is responsible for determining whether an affiliate is credited for a transaction and its decisions are final and not open to debate. These terms will begin upon your signup with the Woolvey Affiliate Program and will end when your Affiliate account is terminated. The terms of this agreement may be modified by us at any time. If any modification to the terms is unnacceptable to you, your only choice is to terminate your Affiliate account. Your continuing participation in the program will constitute your acceptance of any change. We will not be liable for indirect or accidental damages (loss of revenue, commissions) due to affiliate referral tracking failures, loss of database files, and any results of "intents of harm" to the program or our website. We do not make any expressed or implied warranties with respect to the Woolvey Affiliate Program and/or products sold at this site. We make no claim that the operation of the Woolvey Affiliate Program and our website will be error-free and we will not be liable for any interruptions or errors. The affiliate further agrees and warrants that it will comply with all local, state and federal laws (including, but not limited to, the "CAN-SPAM" Act, effective January 1, 2004) regarding the sending of e-mails. The affiliate shall indemnify and hold Woolvey LLC harmless from any and all legal actions, damages or liabilities incurred from the day-to-day operations of the affiliate. Under no circumstances will Woolvey LLC be liable whether in tort, contract or otherwise for indirect, incidental, consequential, special or exemplary damages (including but not limited to damages for any loss of revenue, profits, business interruption, loss of business information or data, loss of goodwill, work stoppage, hardware or software failure, or other pecuniary loss) arising from or relating to any provision of this Agreement or the program. Without limiting the foregoing, Woolvey LLC aggregate liability arising with respect to this Agreement will not exceed the total fees paid or payable to the affiliate under this agreement. Woolvey LLC will own all right, title and interest in and to all information that is created or collected in the operation of the https://www.woolvey.com website and reserves the right to amend or terminate this Agreement at any time, with or without notice to affiliates. The laws of the State of Oklahoma shall govern this Agreement. 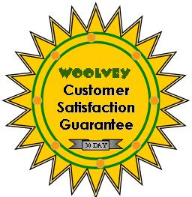 By filling out the signup form you acknowledge that you have read the terms and conditions above for the Woolvey Affiliate Program, you understand them and you agree with them.